Regular eye exams and current prescription lenses are an essential part of good eye health. Arena Eye Care Optometry, and by extension Dr. Krister L. Holmberg and Dr. Shephali Patel, is here to provide your entire family with the eye care that they need. We believe that by taking good care of our patient’s eyes, we can help you to enjoy good sight for many years to come! If you and your family need to update your prescriptions, or you think that you may now need corrective lenses, let Arena Eye Care Optometry provide the vision and eye care that you need. 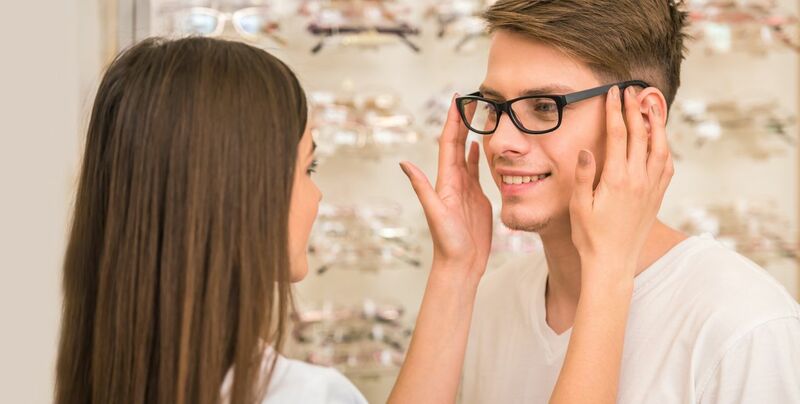 We want to help you find the corrective lenses that improve your vision as well as the right frames that are comfortable and suit your lifestyle. Prescription glasses are an important part of our overall health and well-being and it is important that your prescription is reviewed on a regular basis and updated as necessary. Our entire team is dedicated to serving the vision needs of our patients in the greater Sacramento area while helping them to protect their vision and eye health. Dr. Krister L. Holmberg and Dr. Shephali Patel are able to diagnose, manage, and treat the eye issues and conditions that affect your family. In addition to correcting vision problems, your prescription glasses can also help manage computer vision syndrome. One easy solution that protects you from computer vision syndrome is the coating of your prescription glasses with a protective anti-reflective substance that reduces the blue light that is absorbed by your eyes. If you are experiencing eye issues such as blurriness or headaches while using a back lit device (e.g. your computer, tablet or phone), and your prescription is up to date, computer vision syndrome may be the cause. Our staff can review your work habits and evaluate the amount of time you spend working on a computer and determine if your vision may be suffering due to this use. Blue light anti-reflective coatings like Duralens Blue Protect by Zeiss and Recharge by Hoya decrease the amount of blue light getting to the eyes by 30-35% and your prescription glasses can be treated with these coatings in order to protect your eye health and vision. If You Need Prescription Glasses in Sacramento Arena Eye Care Optometry is Your Eyeglass Source! Arena Eye Care Optometry is your one-stop shop for prescription glasses in Sacramento for the entire family! If it is time to update your family's eyeglasses please give us a call today at (916) 419-8167 to schedule an appointment. You can also drop by our clinic which is conveniently located at 2087 Arena Blvd, Suite 120 in Sacramento. We look forward to seeing you soon!